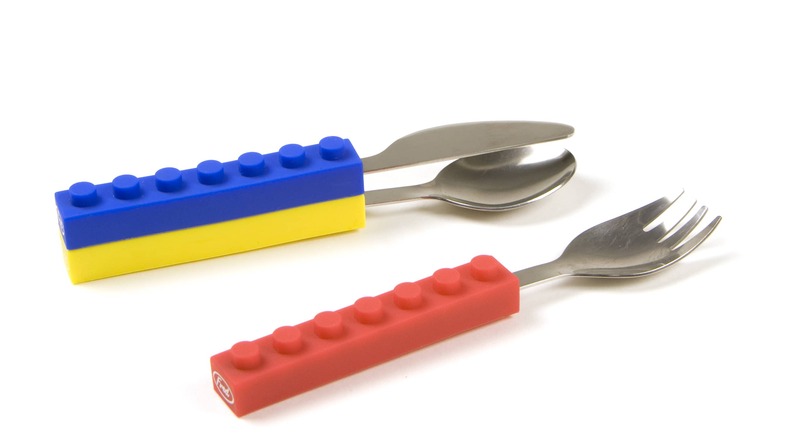 The silicone handles of these utensils lock together securely for easy storage and packing, not to mention endless amusement. Perfect for lunch boxes, picnics, your desk drawer or glove box. Suitable for ages 3+. Acetate Display Boxed.